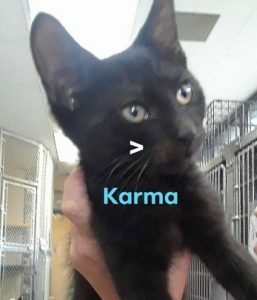 KARMA is the brother in a litter of 3 kittens rescued at Green Acres Mall in Valley Stream when they were only 6 weeks old. He is very playful, and reaches out to potential adopters. If you are shopping for the “purrfect” pet, KARMA is the feline fellow for you. Meet KARMA at Last Hope in Wantagh.